When your Principal, in a reckless act of folly, asked me to be Guest-of-Honour at this 189th Founder’s Day, my first instinct was to do us both a favour and refuse. But I hesitated and in an instant was lost. The temptation to savour the irony was too great. For what I am about to say, I absolve her of all responsibility. My comrades and I spent our six years in Raffles Institution waging insurgency against all established authority. At a very tender age one of our teachers told us we were all born to be hanged. And if that extreme did not come to pass — perhaps I should say, has not yet come to pass — several of us were at least caned. Our then Principal failed to achieve his dearest ambition of getting us all expelled only due to our dumb luck. None of us asked to be born. Yet having had life thrust upon us, we must, unless bent on suicide, nevertheless live. Although we can only, if dimly and darkly, know backwards, we have to live forwards. So let me restate my essential point in a different way…Sincerity is an over-rated virtue, if indeed it is a virtue. 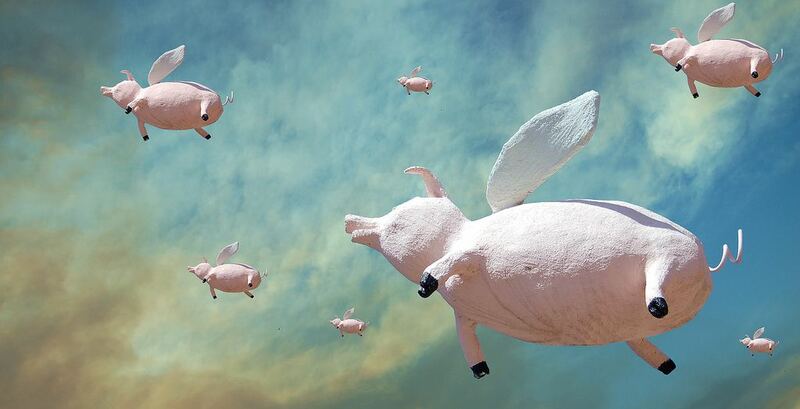 All of you may be suddenly seized with the sincere conviction that that pigs should fly. But pigs will nevertheless never sprout wings no matter how devoutly you hope for them to escape the surly bonds of earth. I have chosen to dwell on this at what you may consider inordinate length, because Raffles Institution likes to consider itself unique. Ladies and Gentlemen, I am sorry to inform you that RI is no longer unique. You are now only one of a number of similar elite educational institutions from which will come a disproportionate number of scholarship recipients and a disproportionate number of leaders in the civil service, the professions, business, the Arts and the academy. And all these institutions are united by a certain sense of entitlement, possibly so profound as to be quite unconscious. I do not blame you for this. All of you are highly intelligent. You will be very well educated. And the odds are that you will be more than averagely successful in your careers. I certainly have no answers. As you, the anointed ones, ready yourselves to assume authority and responsibility under these challenging circumstances. I can do no more than to remind you of what Sir Olivier Cromwell wrote to the Synod of the Church of Scotland in 1650. He was trying to persuade the Scots not to embrace the Royalist cause of King Charles the Second and so avert civil war. Gentlemen, he wrote, “I beseech you, in the bowels of Christ” — and I should explain that in the 17th Century the bowels were considered to be the seat of pity or the gentler emotions — Gentlemen, Cromwell wrote, “I beseech you, in the bowels of Christ, think it possible that you may be mistaken”. So, Ladies and Gentlemen of the 21st Century, I beseech you from whatever portion of anatomy you consider most dear, think it possible that you may be mistaken. Before I conclude, you may wish to know how it all ended. Cromwell’s advice was not heeded. Shortly thereafter, the third English Civil War broke out. This set in motion a historical trajectory of political, social and economic changes that led to modern Britain, the industrial revolution, the East India Company, Sir Stamford Raffles, the British Empire, the founding of Singapore and ultimately, you and I. And all because good advice fell on deaf years. What better way to appreciate the irony and contingency of events than to ponder what may have happened if Cromwell’s advice was in fact taken and civil war avoided. And as you do so, consider also the possibility that you may be mistaken when you think you are mistaken. And with that final paradox I will end. The writer is the Permanent Secretary of Foreign Affairs. This is an excerpt of the speech he delivered as Guest-of-Honour at RI’s 189th Founder’s Day. To view the full transcript, please view this pdf on the RI website. Facebook birthdays: a social experiment. Against all ego-coddling temptations, I decided to spend a birthday without — gasp — proclaiming it on Facebook. We bring you photos of the 8th Inter-JC Ultimate Frisbee Tournament, courtesy of the Raffles Photographic Society.